In the four week period I will be doing a complete room overhaul with help from the Revamp, Restyle, Reveal sponsors AO.com, Amara, Maisons Du Monde, Frenchic and Earthborn paints. Doing the revamp alongside me will be Ruth from Design Soda, Meera from Arty Home, Dee from Dee Campling Interiors, Fiona from Around The Houses, Kerry from Kerry Lockwood In Detail and Kate from Kate Young Design. 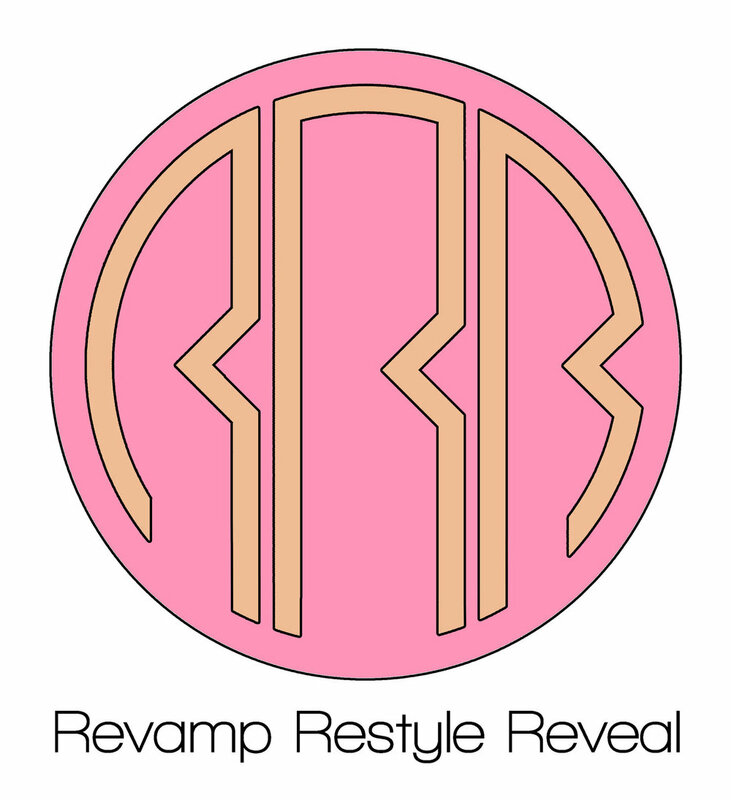 Also doing the revamp will be the hosts from their respective blogs. At first glance this room may seem OK and look pretty nice in parts - but let me really show you what is going on in here, and why I am so desperate to give it a revamp. I love the colour of this room that I painted in Pavilion Grey by Farrow & Ball when we moved in, but look at this huge crack and damp patch! This bedroom is an extension on the house and there was a bit of issue with the roof. We had this fixed a while ago but this huge crack and damp patch remain. I need to fill and sand the crack and apply a stain-stop to the damp before completely repainting the room. I'm so happy to be working with Earthborn paints which are highly breathable and have great covering power - I'm going to need it - look at this other crack below! And it is not just the walls that look worse for wear. I love to have a chair in the bedroom to drape clothes and for occasional seating, but the one we have is completely broken at the top from where I kicked it over. This chair was a dining chair in our old home and has just been repurposed in this room when we moved, so it really needs to be replaced. I'm hoping to update it with a colourful number from the wide range of chairs available via Maisons Du Monde. This dressing table is a great piece of furniture that I want to keep - it just needs some serious love. I painted it once before without priming so now it's chipped. This time I want to paint it using a proper furniture paint, so I'm going to get some DIY tips from the Frenchic fan forum and give this piece a revamp using their Lazy paint range. On top of the dressing table are all old, broken jewellry boxes in that mirror-style that was popular about 10 years ago! These need to go, so I am hoping to restyle the dressing table using some beautiful trinket boxes and trays from Amara. The bedroom contains all the furniture from our old house placed in here for functional reasons over style! This bed frame is 12 years old and even though it is fine structurally I just do not like it. It does not work well in the room, and it just isn't my style at all anymore. The mattress is new, so I just need to update the bed frame. Instead, I want something more suiting to the rest of the house and a bit more 'luxurious' looking. I'm going to sell this bed base and put the money towards the revamp. My big bugbear in the room (which I had removed from the rest of the photos due to embarrassment) is this cheap fan. This room is a bit of heat trap and so my husband insists on having a fan by the bed. I hate this fan for so many reasons, not only is it ugly and collects dust that is impossible to clean off, it is noisy and I always worry about not hearing my toddler in the next room if he wakes in the night. With AO.com, I'm hoping to upgrade to something more stylish that also isn't as loud! This dramatic French mirror I bought at auction for the hallway in our old home. It looked great there with the really high ceilings and floor tiles, but just does not work in this room. For a start, it's too big. It's also hung too high. The style of it just does not work so I am hoping to replace it with something softer (and probably something circular) hung lower to the dressing table. I also want to add in a dressing table stool in this area as it just looks a bit blank otherwise and I'm fed up of standing to do my make up and hair! While you can head on over to the You Tube channel now to see all the 'before' videos of the bloggers rooms! Don't miss the REVEAL! Get the post sent to your inbox! Thank you! Please check your email for the confirmation link.